Destroying group 1 completes the mission. Attacking the Darkonnen Envoy after talking to him does not affect mission. May drop a +4 implant. 4 groups at warp in, no instant aggro. Attack in any order - all groups aggro'd independently. Destroy middle bottom group (transports) drops cargo container containing 5 prisoners. Mission Completes. Warp in, 4 groups. Attack in any order - all groups aggro independently. 3x Cruiser (Corpum Arch Sage/Arch Priest) - one of these drops the prisoners & killing completes the mission. once you've dealt with the initial 2 Cruisers you could just go for the Arch Sage group. Warp in, 5 groups. Once dealing with the instant aggro from group 1 the remaining groups are at extreme range. All ships may aggro on attacking any one ship. Ships may also switch target to aggro drones if drones attack the sentries. The Tower Sentries are proximity activated and will aggro as soon as you get within 80km, so going for one of the middle ones will possibly put you in range of 2 others. Tower Sentries range is limited to 80km. Note: the large numbers of structures present can cause this stage to lag. 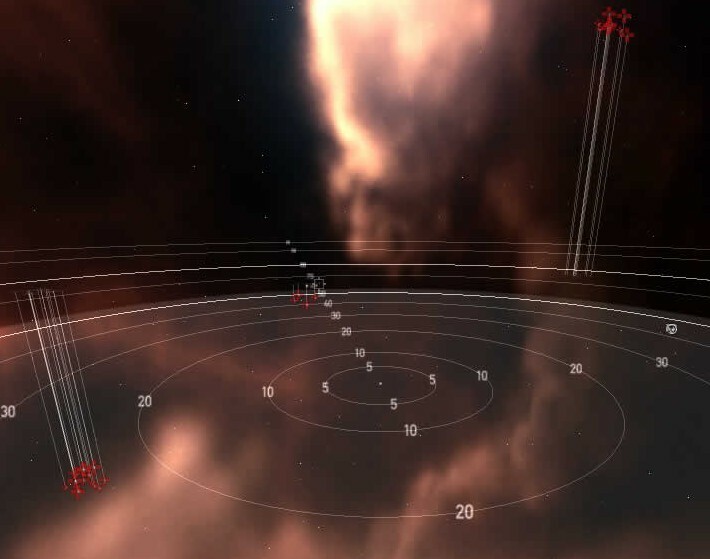 Group 1 (middle-left) @10-15km - Initial aggro at warp in. Warp in, 3 groups. Attack in any order - all groups aggro independently. Dark Blood Chapel drops 2/3 hardwire implants. Finished in a Drake, used Blitz on 10/10. Battleships bounty reward is 500-700k each. Max range on them is 35k, easily outranged, but bring a lot of DPS because they have decent armor tanks. 10/10, pocket 2, all within 30-40km. Killing the Dark Blood Chapel in Pocket 3 aggros the whole room. Completed entire storyline in a Navy Issue Omen. 10/10, Pocket 3, Group 2, the destroyers were killed WITHOUT aggroing battleships. After that, battleship group was speed tanked by a single Hobgoblin II. Group 3 however attacking the destroyers aggro'd the battlecruisers which in turn aggro'd the battleships. 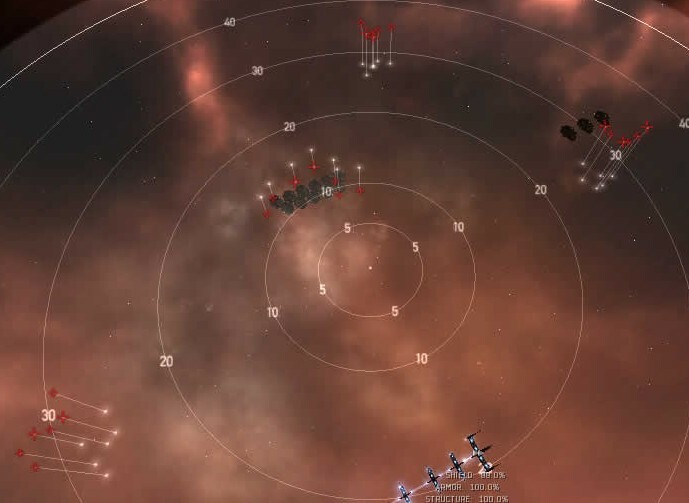 Battleships could not hit my Omen unless I misclicked in turning and came to a near complete stop. After clearing out the destroyers and battlecruisers a quick warp out and back in would allow drone tanking of the battleships again if necessary (it wasn't). Part 6 has sent me into lowsec every time I've done this series, so be warned. Very easy, if a little slow, in crappy T1 fit Arbitrator with good support skills. In 10/10 room 3 killed middle group, cleared Destroyers and Battlecruisers from the side groups, warped out after each group, used light drones to speed tank Battleships, looted the 3 implants from the Dark Blood Chapel, warped out.